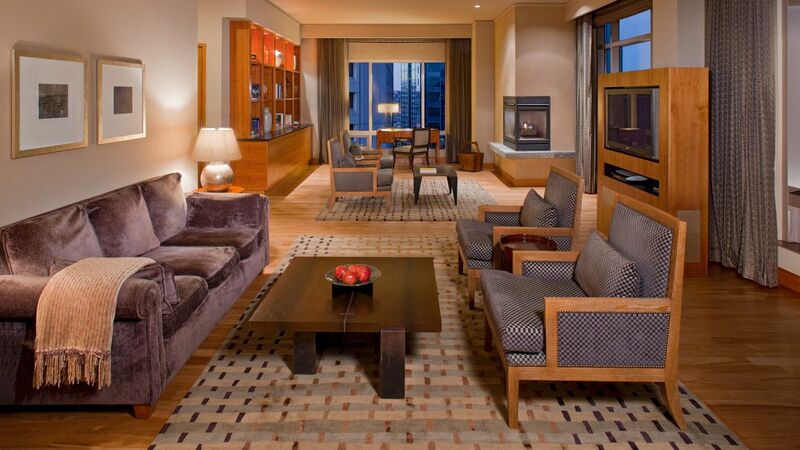 Bask in contemporary luxury in one of 457 rooms, including 14 suites, at Grand Hyatt Seattle. 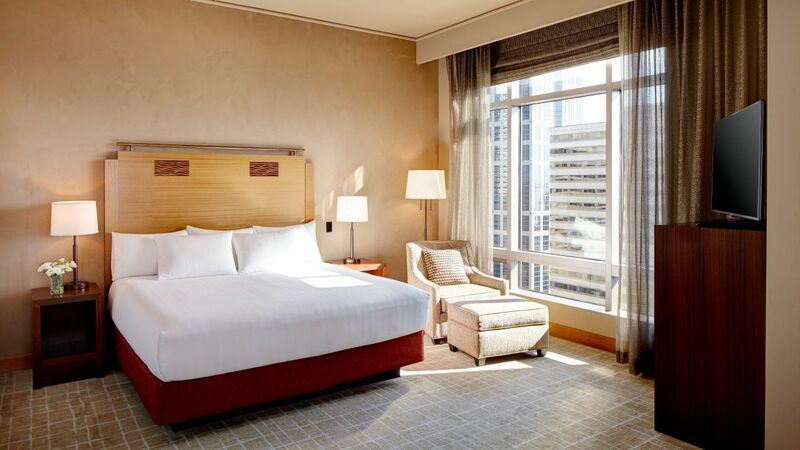 Each accommodation offers floor-to-ceiling window views of downtown Seattle, Puget Sound, the Olympic Mountains, or the Cascade Mountains to enjoy from floor-to-ceiling windows. Upgrade to an opulent suite for high-rise views of Lake Union with spacious living and dining areas, perfect for entertaining guests or private conferences. Enjoy city views from a high floor in this suite offering one king bed, spa bathroom with jetted tub, separate parlor, wet bar and dining area. This is a premium suite. See World of Hyatt program terms for upgrade eligibility. Elevated on the top 4 floors, featuring one king bed, electronic blackout drapes & impressive city views from floor-to-ceiling windows. This is a standard suite. See World of Hyatt program terms for upgrade eligibility. Enjoy unparalleled city or Lake Union views from this opulent suite featuring one king bed, jetted tub, separate parlor, wet bar and dining areas. This is a premium suite. See World of Hyatt program terms for upgrade eligibility. Enjoy downtown Seattle views from a high floor in this suite featuring one king bed, sleeper sofa, a separate parlor, wet bar and dining area. This is a premium suite. See World of Hyatt program terms for upgrade eligibility. 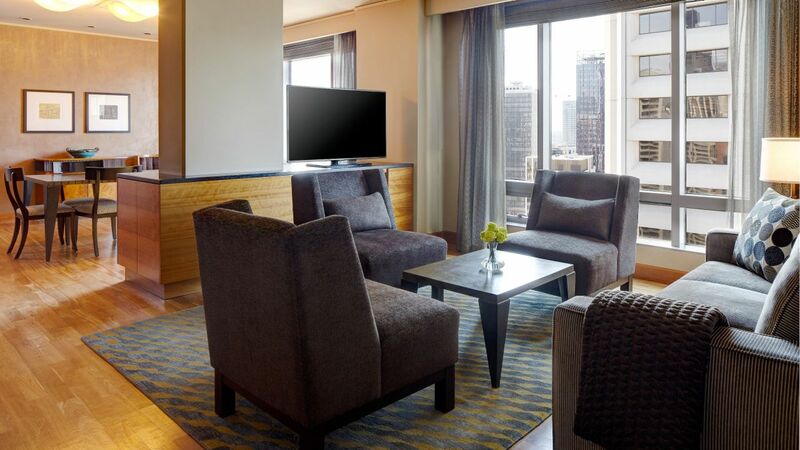 Enjoy Seattle’s skyline from floors 10-30, and unwind with one king bed, spa-bathroom with soaking tub and Grand Club Lounge access. Enjoy Seattle’s skyline from floors 10-30, and unwind with two double beds, spa-bathroom with soaking tub and Grand Club Lounge access. Enjoy a better night’s sleep with a state-of-the-art air purification system featuring PURE shield, hypoallergenic mattress and pillow. 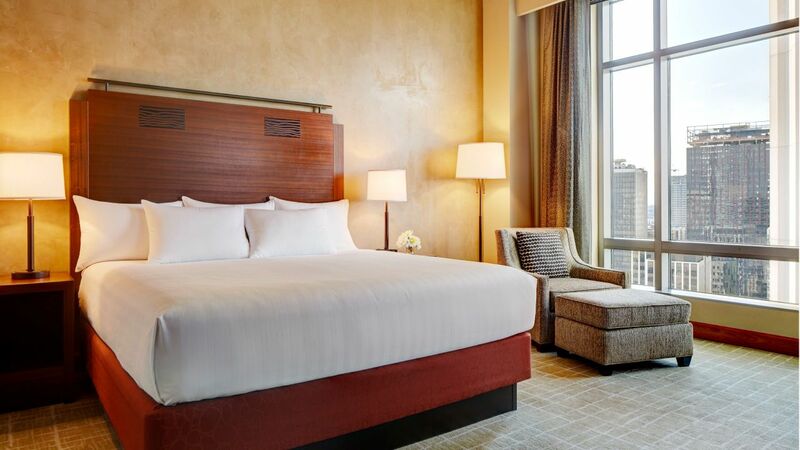 Unwind in this room featuring inspiring city views from the floor-to-ceiling windows, two double Hyatt Grand Beds™, and spa-like bathroom. Enjoy impressive city views from the 10th floor and above this room featuring one king bed, and spa-like bathroom with soaking tub. 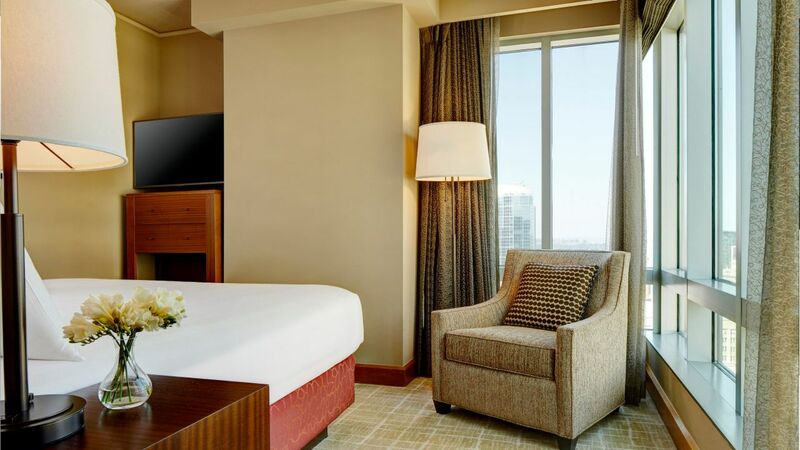 With dramatic downtown city views and a separated sleeping room and sitting area, unwind in this room featuring one king bed and an oversized desk. 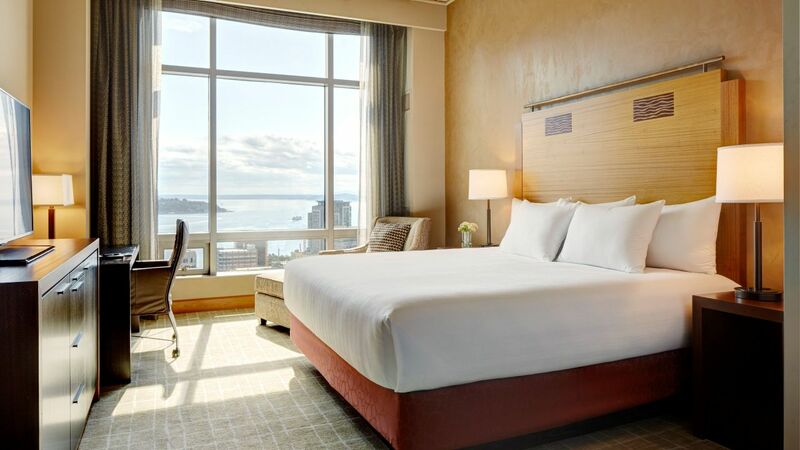 Take in sweeping floor-to-ceiling views of Elliott Bay and surrounding mountains in our room featuring one king bed and located above the 21st floor. 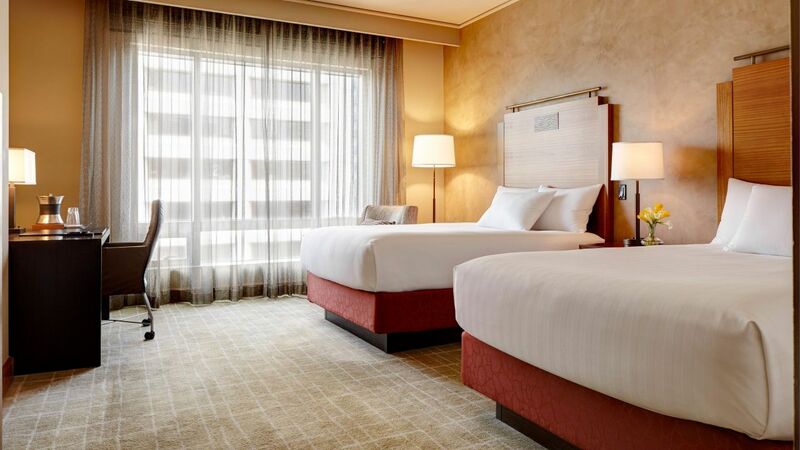 Located above the 19th floor, enjoy views of downtown Seattle and Capital Hill from the floor-to-ceiling windows in this room fitted with one king bed.